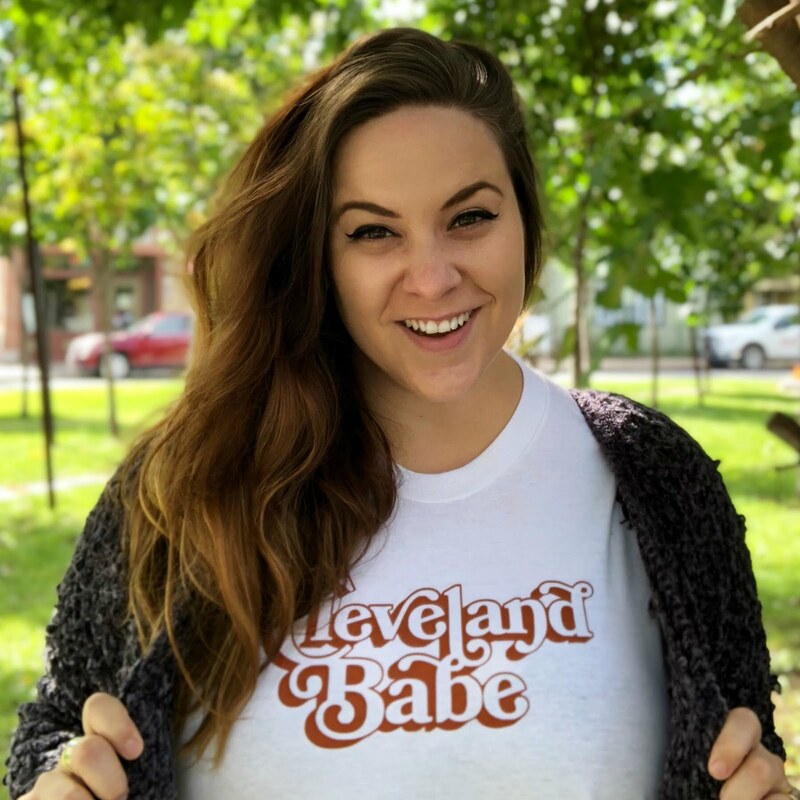 My Favorite Fall Flavors... from Right Here in the CLE! I'm still burning the "Autumn Escape" candle I made at CLE Candle Co. last month, & now that the fall is in full swing, I'm also tapping into some of my favorite flavors of the season. Here's a little bit of what I'm loving right now, all made right here in Cleveland. I'm not usually a fan of Oktoberfest beers, which are too heavy for my liking - but I'm all about this unusually light sweet potato beer, spiced with cinnamon, nutmeg & cloves. Sure, it gives me heartburn - what doesn't these days? - but that lightly sweet taste is so worth it. It's best sipped on Platform's patio on a cool autumn day. 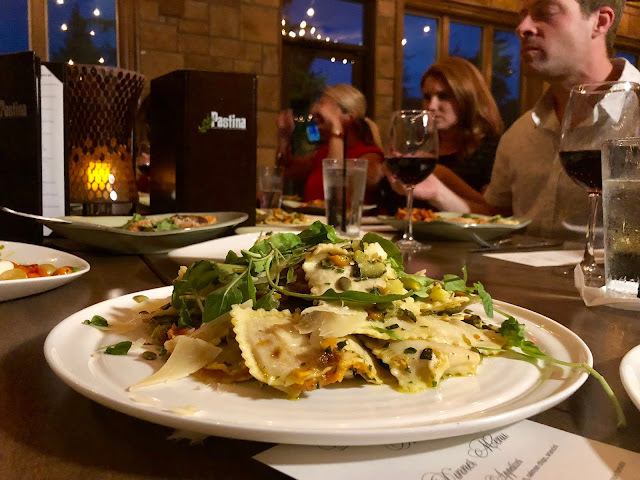 Mike & I were recently invited to a menu preview at Pastina Rustic Italian in Mentor, OH, about 35 minutes outside the city, & goddamn, was it ever delicious. 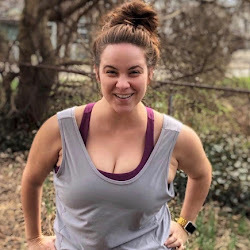 We tried everything from pizzas to calamari to arancini balls to cavatelli bolognese, but my favorite was the sweet potato ravioli with zucchini & pumpkin seed pesto hash, which I also had for lunch the next day. It was honestly one of the best dishes I've ever eaten - & everything from Pastina is made by hand, from scratch, using as many local ingredients as possible. 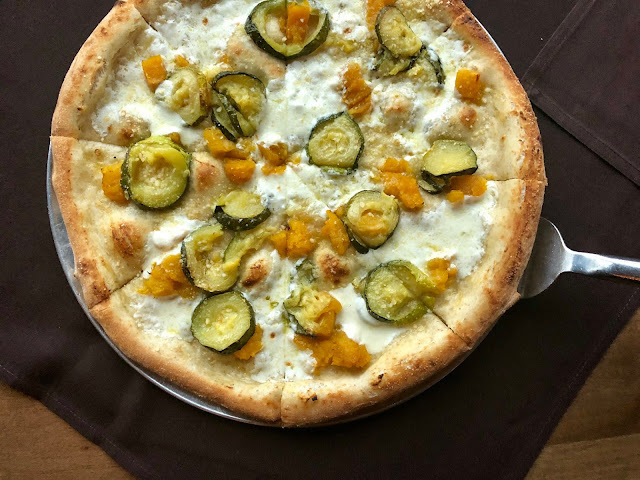 I also loved the Harvest Pizza, a white pizza topped with mozzarella, butternut squash, & zucchini. Are you sensing a theme? Yes, I am a big fan of autumnal veggies. This local shop is just a block down from me, & I hit up a couple times a week for "essentials" like crackers, goat cheese, & bacon. On a recent visit, I asked the owner, Kevin, what he ate with their apple butter. His answer? Vanilla ice cream. I bought both, & now this treat has become on of my favorite fall combos. This flavor delicious all year round (as does all of Mitchell's ice cream), but it tastes especially delightful in the fall, which I think of as caramel season. I'm not a vegan, but this ice cream flavor is, hands down, one of my favorites. Come to think of it, should I put apple butter on this cream?! 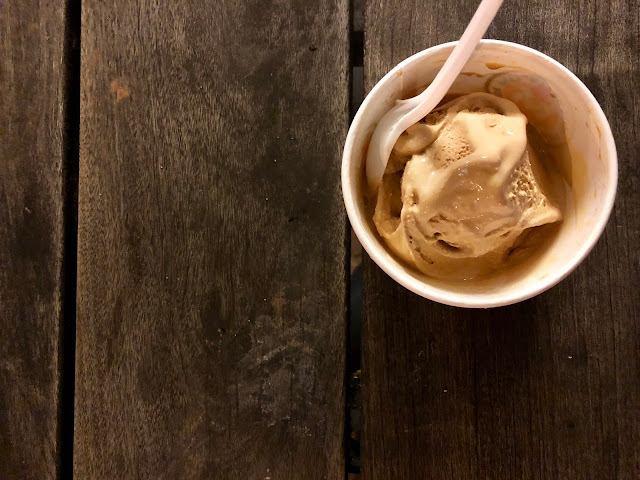 Make my own caramel apple ice cream combo? Holy crap, I'm a genius. OK, fine, I have one more fall favorite that's not made here in Cleveland: those caramel apple suckers. Remember those? Man, I've gotta go get me some. I have to have at least one every autumn! Disclosure: Pastina Rustic Italian invited me & a guest to attend a complimentary dinner for influencers. As always, all opinions are my own.